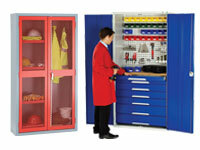 Premium cabinets with drawers are always the heart of any appealing, properly organised workshop. If you’re interested in large, heavy duty cabinets that could be customised to meet your specific storage needs, start by taking a closer look at the Workshop Cabinets with 7 Drawers proudly introduced by The Workplace Depot. What Is the Purpose of Workshop Cabinets with 7 Drawers? A cabinet with 7 drawers displaying a sturdy construction is an invaluable asset for people who wish to reach the full potential of their workshops. Made of welded steel, these cabinets are robust and come with central locking, a handy feature enabling owners to prevent security risks and protect the contents of their drawers even when they’re not around. Explore an easier method to eliminate clutter, keep your personal effects organised at all times and limit access to your valuable by buying, assembling and using a workshop cabinet with 7 drawers. Building and customising the perfect workshop is far from being a challenge, as long as you can count on uncomplicated, easy to use and extremely affordable furniture pieces designed to simplify your daily operations, reduce clutter and keep your space clean and tidy. The workshop cabinet with 7 drawers that we provide is a perfect match for different working environments, including automobile repair workshops, garage workshops, stores, warehouses, studios and office space. This particular cabinet model is ideal for commercial and residential use and can be seen as the optimal storage solution for anyone who owns and uses a workshop, including mechanics, handymen, construction workers, woodworkers and amateurs who like to spend most of their spare time perfecting their DIY skills. Given its ease of use, practicality and versatility, this piece of workshop furniture can be utilised all potential clients looking for a space-saving, convenient method to deposit and protect tools, accessories, gear and other loads. 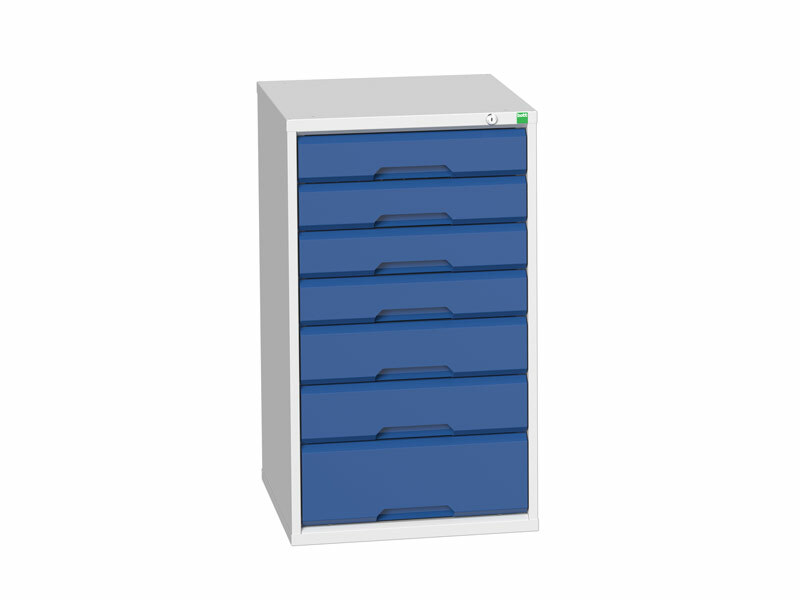 This cabinet model displays a robust construction and features central locking and roller bearing drawers with a UDL capacity of 50 kilograms. Available in blue/grey, these items can be customised in countless ways by adding one of the many drawer divider kits that you could find in our store.